Previously, I posted the 5 Importance of Altering your Doggy. Now, I'll delve into the details of why spaying should be considered. 1. Waiting for the dog to have been "in heat" once before spaying is advantageous.- According to some rescue groups, spaying before she matures will help her avoid mammary cancer and pyometra (a painful disease in the uterus of non-spayed older dogs) later in her life. 2. Spaying should be done after her first litter. Although it's so wonderful to have to see your grandbabies, you'll have to put that off if you're unable to provide them good homes. Reality check, 4-6 million pets are being euthanized each year- maybe more! 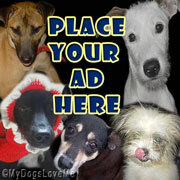 If you're so tempted to give in, go to your local pound and see the many homeless dogs they have. Better yet, adopt one if you (can afford) are willing to add one more dog in your family. You'll not only make him happy, but you'll certainly save his life. Or you can simply look at her. This is how owner-less dogs typically look in my country. Most people here are not into "altering their dogs" because of its cost. The picture above clearly depicts what happens to unwanted and abandoned ones roaming the streets. The dog above was lucky enough to get rescued, but what about the others? Why is it a big deal to spay your dog? 1. You won't need to deal with a dog actively seeking a mate. Since she's in heat, her male counterparts will also be able to smell her a block away. Male dogs even go into fights just to get one female. Stray dogs may also appear in front of your house/gate. 2. You won't need to deal with her "Estrus period". A female dog "going in heat" will pee in different unpleasant places (frequent urination). She will also be rubbing her blood off your floors. This period occurs for approximately 21 days. Some may not have known this since it only occurs twice a year (for most dogs). I have only seen it occur once with my now deceased dog (thankfully, due to very old age) when I was 9. With most "street dogs", it will only be noticeable once she's already pregnant (the thing we are trying to avoid in the first place). Other dogs are into cleaning themselves well, reason why we hardly know this fact. 3. Once spayed, your dog will be less aggravated, anxious and short-tempered. When she's in heat, these traits will normally come out including restlessness. 4. If she doesn't get pregnant during that period, she'll probably go through "false pregnancy". There mammary glands may enlarge and produce milk. She'll also be more whiny and needy of attention. You might even catch her "mothering" a toy.